You see a map that contains territory of Russia. free map of Babayevo for gps. interesting map of Zaruchev'ye 1 cm to 1 km for you. topographic map of Zarech'ye 1 cm to 1 km this. topographic map of Zarech'ye for Garmin. map of Zamosh'ye calibrated presented. free map of Yazykovo for you. map of Yashkovlevo free download. free map of Vysokovo calibrated free download. actual map of Vyazskoy with gps calibration free download. actual map of Vorokhobino calibrated for you. topographic map of Volodino calibrated for you. 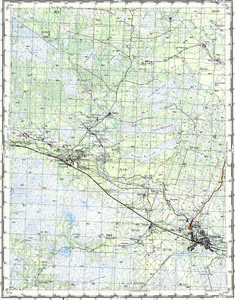 map of Velikovo и OziExplorer calibration here. actual map of Vasil'yevskoye here. free map of Urodovo calibrated free download. detailed map of Toropovo calibrated for gps. free map of Timoshkino calibrated displayed. topographic map of Teshemlya with gps calibration here.